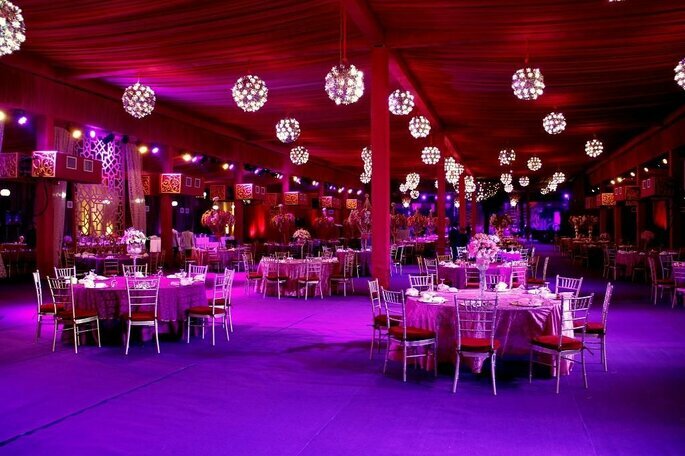 What is the first thing which comes after your perfect wedding, as you have planed so many things to make your wedding a perfect wedding, so why not to a honeymoon? Yes, it your honeymoon, it’s a beaning to your new life. Honeymoon to be perfectly planned so, choose the best honeymoon hotels to make your honeymoon memorable and relaxed. After whole day travel, shopping, dinner, what exactly you need? 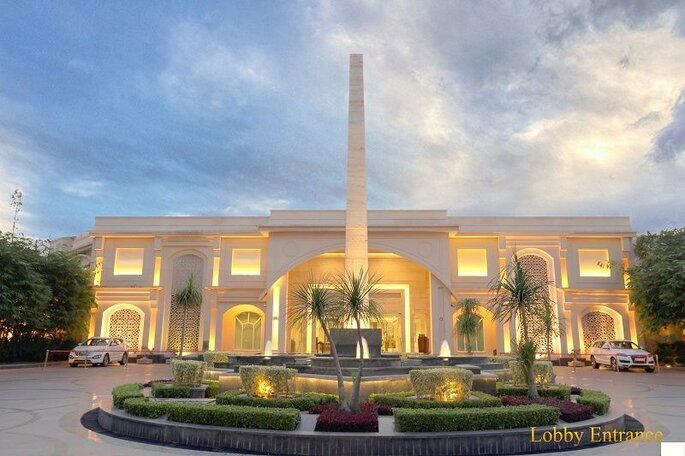 A perfect luxury hotel with all the requirements. Credit: Jaypee Greens Golf & Spa Resort. 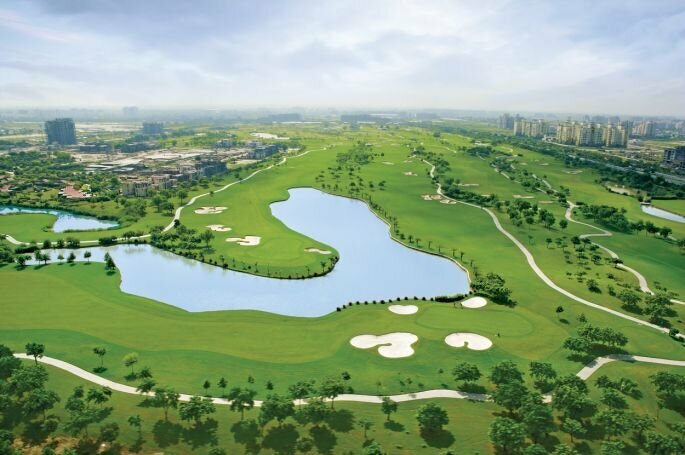 Jaypee Greens Golf & Spa Resort, Greater Noida, National Capital Region. If you are looking at stealing a few days of peace, luxury, style & sophistication away from the hustle and bustle of the city, Jaypee Greens Golf & Spa Resort fits the description. 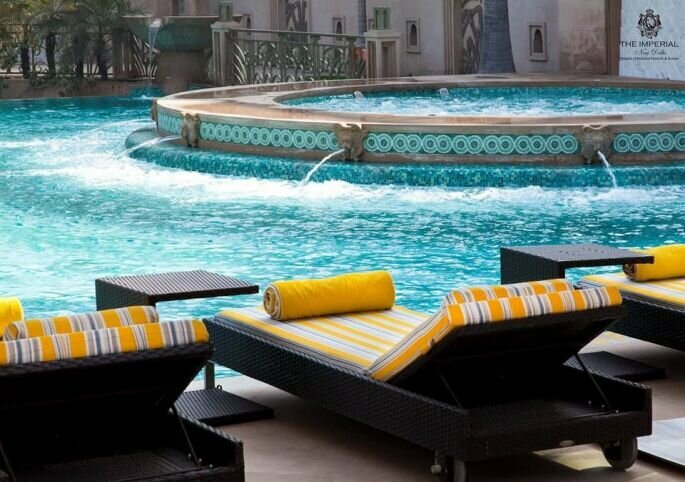 Nestled in 450 acres of Jaypee Greens, the resort is just an hour away from the city. Wake up to a breathtaking view the lush greenery from all the harmoniously designed rooms or rejuvenate with the rare couples wellness therapies available at India’s first Six Senses Spa or simply play golf together, the serenity and happiness will stay with you long after you have returned home. 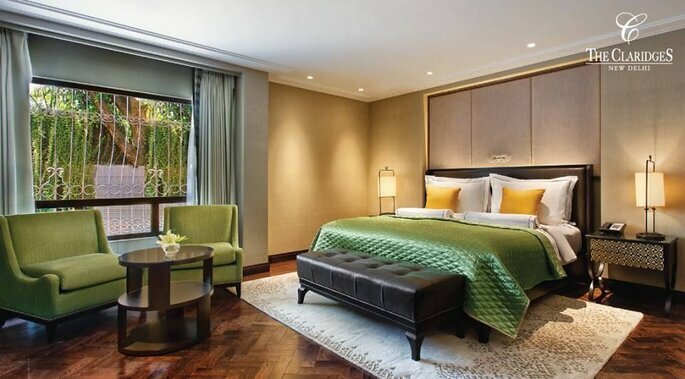 Nestled in greenery, in the heart of Delhi, ITC Maurya – a premier luxury hotel in the Capital, is acknowledged as the preferred ‘Residence for World Leaders and Global Icons’ for over 30 years. The 438 room property epitomizes the luxury hotel experience with exemplary service and warm hospitality soaked in Indian traditions. The hotel has established industry benchmarks in safety and security, wide choice of premium rooms and suites, world renowned restaurants including the iconic Bukhara, banqueting facilities, spa and wellness, and more. 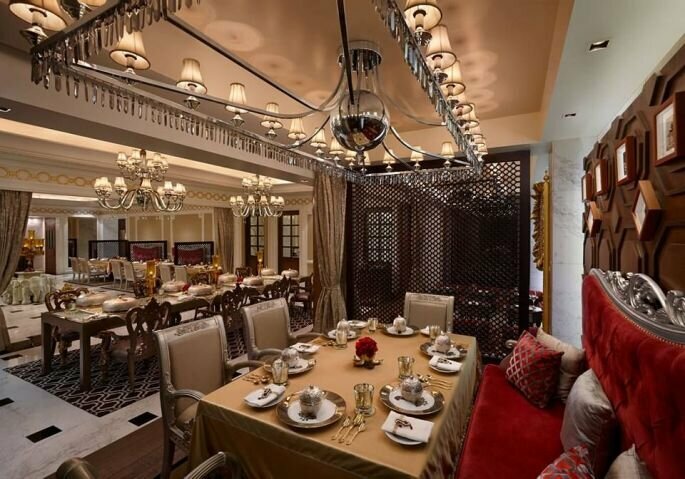 Chosen as India’s best ‘Luxury Historical Hotel’ by World Luxury Hotel Awards 2015, The Imperial is an iconic property in Delhi’s 5 star hotel category and the most distinguished address situated in the heart of the capital, reminiscent of the halcyon days of the Raj. A luxury hotel with an iconic and awe-inspiring heritage interwoven in colonial elegance, it dwells in its modern delivery of old-style class, magnificence and luxuries aplenty. 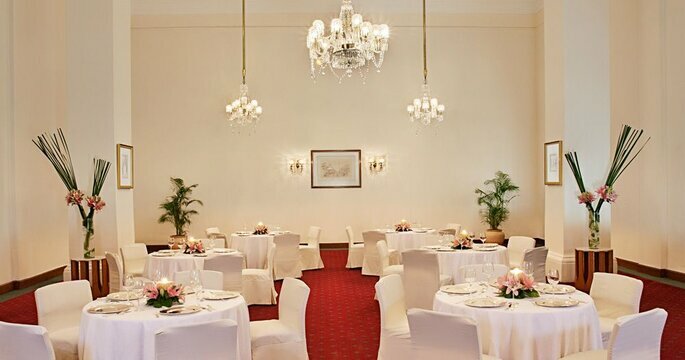 Built in 1931 by Blomfield, one of Sir Edwin Lutyen’s associates and inaugurated by Lord Willingdon in 1936, it is New Delhi’s landmark Hotel, located on Janpath, the erstwhile Queensway. The Hotel is steps away from Connaught Place, the renowned shopping district and is very close to the city’s major attractions. The hotel is just a 30-minutes drive from the international airport. The 358 rooms which include 52 suites are an integration of international style with high technology. Vivid expressions of design and décor,each room showcases individuality that is inspiring and stimulating. Warm tones of wood textures, and well appointed rooms with modern accessories ensure that guests have a relaxed and comfortable stay. An assemble of six distinct styles, Luxury Suites, are inspired by timeless colonial era, contemporary art, and articulate detailing. Located on the nineteenth floor, each affords a view that unlock the city’s iconic landscape. 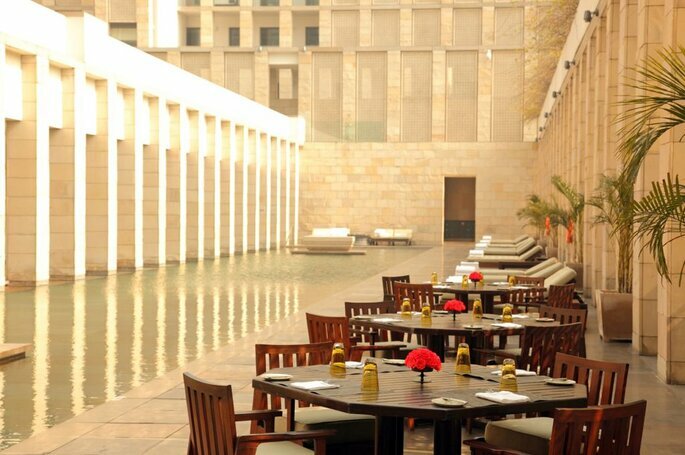 The 2 Lodhi Premier Suites are on 7th to 8th Floor of the hotel. These Suites offer best views over looking to the golf course and to Humayun’s Tomb with Nizamuddin Village in the background. These 2400 sq. ft. Lodhi Premier Suites offer simple and easy luxury and are the largest two bedroom suites of the Luxury Hotels in New Delhi. The room tariff includes daily Lodhi Breakfast in the Elan Restaurant A microwave oven and tea and coffee making facilities can be provided on request. 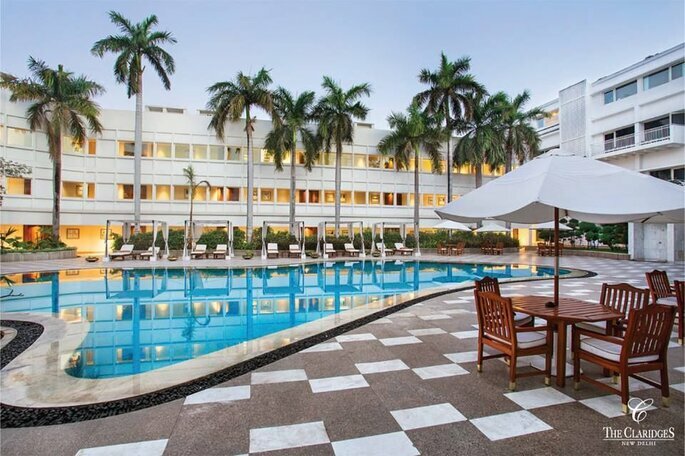 We are famed for providing some of the city’s most cosmopolitan suites and the Verandah Pool Suite is no exception. The suite offers a feeling of being more like your own studio than a hotel room; residents enjoy extra seating in their studio style bedroom. Each Verandah Pool Suite offers custom furnishings, a personal plunge pool and 2700 sq ft of refined elegance. A king-sized bed, television, custom writing desk, open sitting area and an expansive marble bathroom complete the memorable experience. All guests enjoy complimentary access to Recreational Facilities – Tennis Courts, Squash Courts and Techno gym, complimentary Wi-Fi & Breakfast. The Hotel offers exquisitely appointed rooms and suites, an array of celebrated dining options, as well as dedicated leisure and business facilities. It is also equipped with a delightful temperature-controlled swimming pool, complete with sun decks, cabanas, loungers and a bar, where you can savour exotic cocktails, amidst uplifting music and ambient lighting! 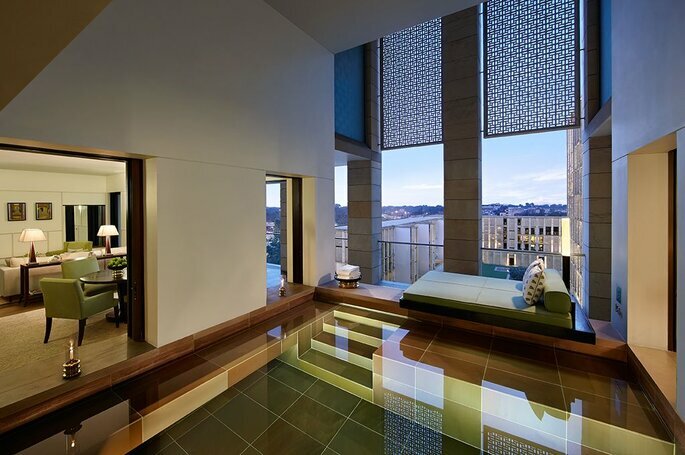 Escape into a spa unlike any other in Delhi. At The Claridges Spa ancient Ayurvedic traditions and carefully crafted luxury come together for a contemporary healing experience that will revitalize your body and soul. Here, every visit is marked by a transformational experience. Some journeys can be summed up in a photo, a tweet, a souvenir. But others are so filled with inner riches, they defy easy description. For one visitor, it’s a lobby and a welcome that makes her feel like royalty. For another, it’s discovering a hidden garden, guided only by the scent of jasmine. To some, it is small touches that few others notice – the warmth of a gesture, the extra care in the simplest dish. For every traveller, seeking exploration, The Leela offers a treasure of experiences and we go the extra mile to make each of your discoveries a souvenir. Our spacious suites Ardelle and Celista are carefully crafted to pamper your senses. 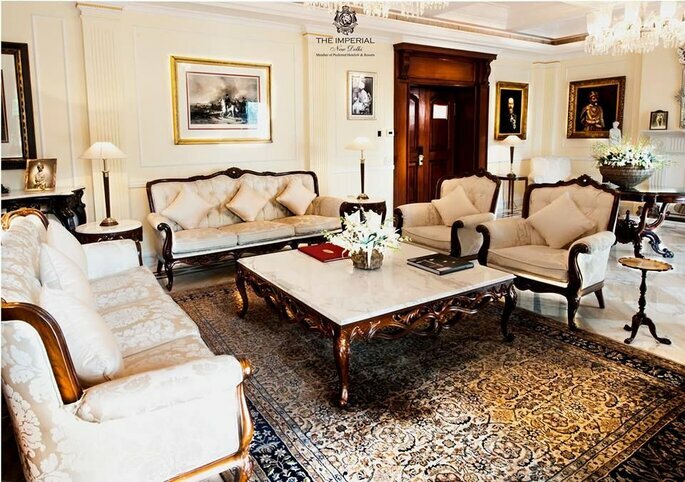 Their extremely fine materials, extravagant proportions of the suites are the crown jewels of The Umrao. These suites are bound to change the definition of luxury and comfort. 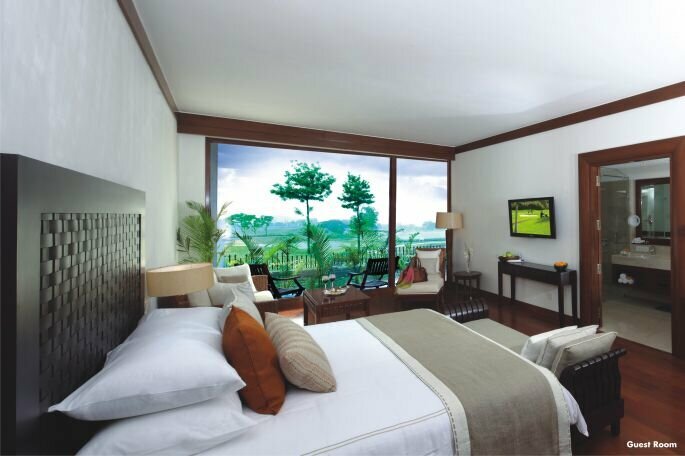 Elegant bedrooms in modern style and spacious living areas, offering luscious comforts to our valued guests. Our Superior rooms boast premium fixtures carefully procured from various parts of the world to ensure the needs and comfort of our guests they expect from The Umrao. Large room glass that allows natural light to enter the room, calming colors which provide work-friendly features like desk with ergonomic chair and Wi-Fi connection. It was from this historic abode that Sir Edwin Lutyens set out to build New Delhi, a new capital for the British Empire’s jewel with the aim to create a garden city ‘with room for endless expansion’. The city’s spacious core of immaculately designed and executed landmark government and civic buildings made New Delhi arguably the most successful planned city of the 20th century with Lutyens’ masterpiece, Viceroys House (Rashtrapati Bhawan) at its heart. 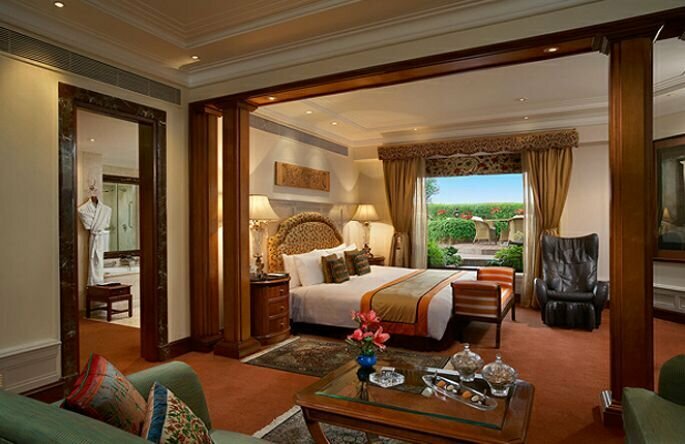 The Lutyens Suite features wooden flooring with a grand bedroom, walk-in wardrobe, dressing area and a 4 fixture luxurious Italian marble bathroom with full size tub & walk-in shower. A living room and private terrace surrounded by immaculately manicured greens is the highlight of this most spacious suite (1330 square feet), meant for those who settle for nothing but the best. 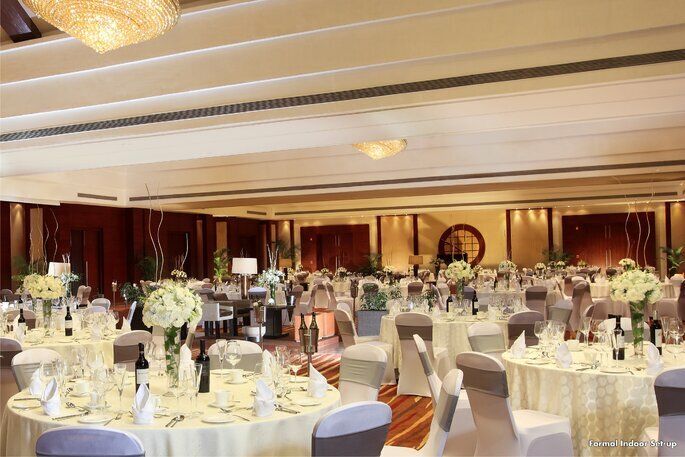 Enjoy luxurious pampering offered at our premier Regency Club in our business hotel in Delhi. The continental breakfast may be enjoyed between 6:30 am to 10:00 am on weekdays and until 10:30 am on weekends. During the day there is an assortment of refreshments and light meals complimented with tea and coffee service. 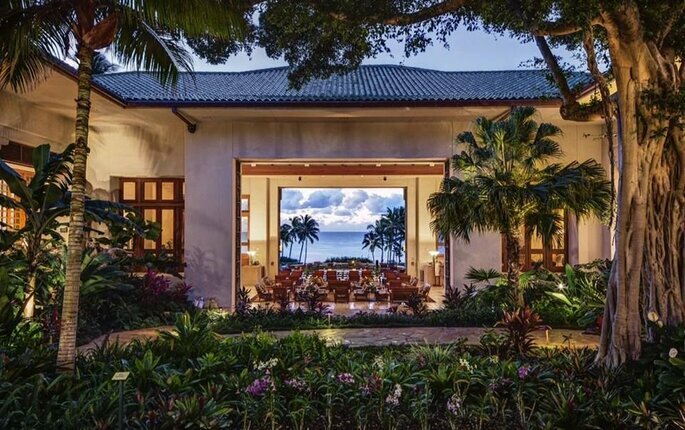 At the end of a hard day, guests can also relax in the evenings between 6:00 pm to 8:00 pm with complimentary cocktails and canapés, while an attentive guest services team attends to their every need. Guests are welcome to invite their friends or colleagues at an additional charge. Apart from the business meetings at the lounge, the well equipped boardroom at the Regency Club Lounge can be reserved for private meetings for a maximum of eight guests per available boardroom.